Die Vollversion Flash Video Converter Factory Pro jetzt günstig kaufen und downloaden – mit Gutscheinrabatt! Nowadays, more and more people have been used to surfing on the internet to search information, watch videos and listen to the music and so on. At the same time, more and more excellent people who have different kinds of talent and more and more popular personal videos are also known by us through the internet. Flash video is popular with nearly all pop websites like: YouTube, Hulu, Google Video, Yahoo! Video, metacafe, Reuters.com,etc. If you are full of talent but nobody knows you or you have some interesting videos but do not have the right format,a Flash video converter can help you solve all the problems above! 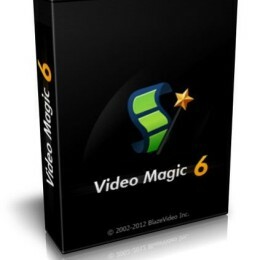 What kind of flash video software should we choose? The answer is Flash Video Converter Factory, it is a powerful and versatile program for converting any video file to flash including FLV, SWF, F4V. The flash video converter (FLV video converter, SWF video converter) with professionally excellent performance. Can quickly convert all popular formats of video into high quality Flash video. Flash Video Converter Factory Pro is a powerful utility that converts popular video files AVI, MP4, DAT, MPG, MPEG, H.264, NSV, VOB, MOV, FLV, MKV, TS, DV, WMV, ASF,3GP, 3G2 to Flash file. It is designed to convert video to flash on any webpage, but it also supports to convert flash to video. Wenn ein Rabatt oder ein Gutscheincode für Flash Video Converter Factory Pro verfügbar ist, zögern Sie nicht, denn die Aktion könnte plötzlich zu Ende sein. Reagieren Sie jetzt, klicken Sie auf den "Jetzt kaufen"-Button. Wenn Sie Flash Video Converter Factory Pro ausprobieren möchten, holen Sie sich die kostenlose Download-Testversion! Klicken Sie den Button unten an.